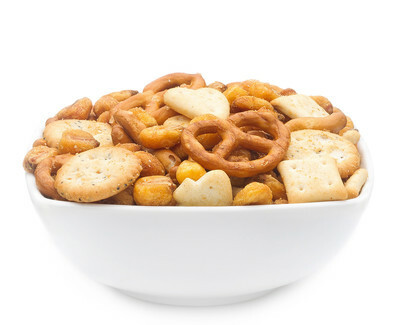 Classic Snack Mix with salt sticks and salt crackers in different shapes, combined with crispy baked and discreetly spiced corn kernels. PEANUT, cashew, WHEAT, vegetable oil, salt, chili, SESAMEOIL, egg, onion, paprika, garlic, sugar, spice, NFE-PN, corn, sugar, vegetable oil, Maizsirouppowder, pure vegetable oil, apple juice, apple powder, nature identical apple aroma, lemon peel , dextrose, spices, emulsifier: SOYa lecithin E322; colouring agent: E104, E124, E160a; Stabilizer: E334 Weinstein. May contain traces of ALMOND, MILK, GLUTEN-containing GRAINS and SOY. Can affect the activity and attention of children. 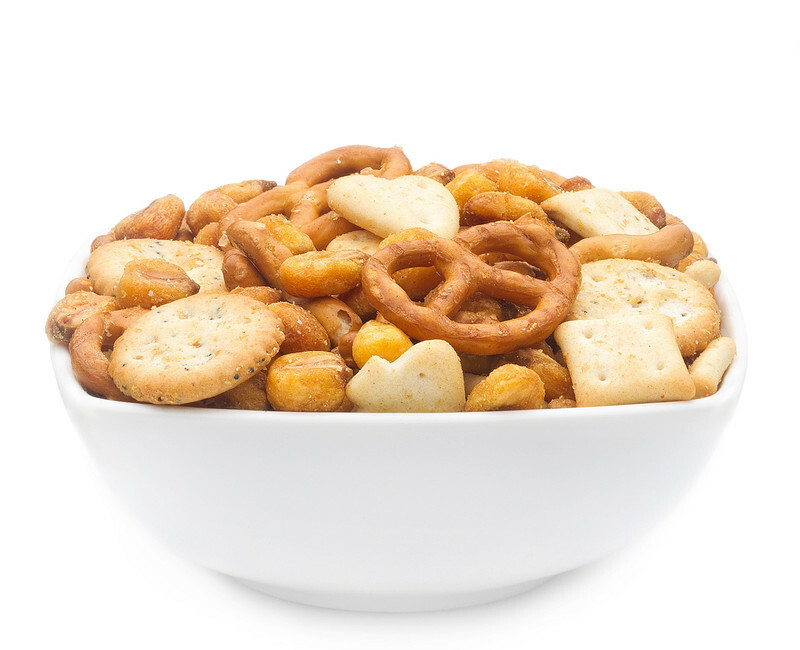 In a lovingly compiled Knabbermix, we have chosen carefully specially for lovers of particularly crunchy snacks places to small crunchy pretzels, wheat crackers see around and flavoured with poppy seeds, salt crackers in playing cards colours small liquor chopsticks and crispy wheat balls. The highlight are the corn and beans, which were gently roasted and coated with a spicy breading. A none, fine snack pleasure you certainly so because we have united only selected favourite snacks in this mixture, which are particularly crisp and tasty. This snack is easy from hand to mouth. Spicy, salty and crunchy. The favourite already childhood is certainly the small elegantly curved pretzel, which will shine with their little grain of salt with your smile to the bet. Closely followed by the curving liquor chopsticks and spicy wheat crackers, in decorative Playing cards colours like hearts, spades, diamonds and clubs that mix beautifully on pretty. The special delicacy of this mixture is certainly the crunchy corn grains and beans that we have zesty. Round is the matter through small, delicious wheat balls that roll merrily through happening. For a glass of wine, a cold beer and also very happy to a long drink just heard a small snack unit. A decorative glass carafe, in a pretty spoon, and you have also a decorative element geschaffe, the perfect match for your home bar. Other savory snacks like small pretzels and liquor chopsticks, besides salt crackers with and without poppy are tasty appetizers accompanied a cheerful round of the evening great. With the crisp corn and beans you proves that you put perfect host qualities to the day and beyond are open to new ideas on culinary heaven.